Check the Current News tab for the current weather report! 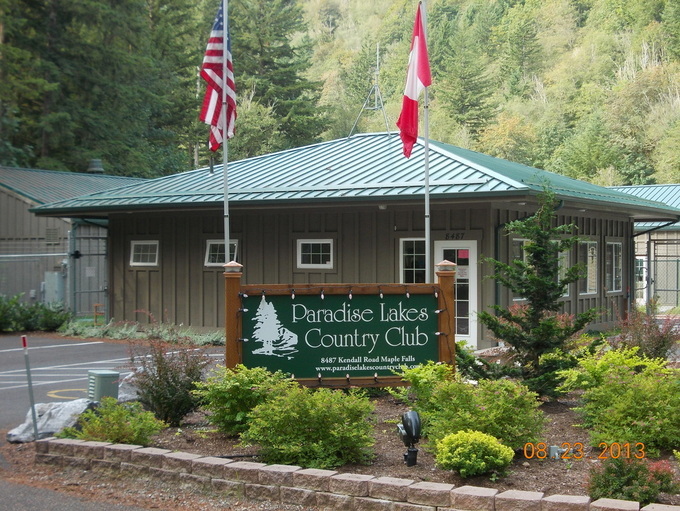 Paradise Lakes Country Club, was founded in 1968 as part of a larger camping, residential development. Around 13 years ago the leadership of Paradise Lakes sought to bring a change to the camping side of the development and founded Paradise Lakes Country Club. Since then it’s been nothing but improvements in the development, yet keeping with the simple camping theme. Residents from both Canada and the United States, who seek to enjoy a get away from the stressful walks of a busy life, purchase here to enjoy their slice of true camping comfort. The Club is a Not for Profit registered corporation in Washington state. It is governed by the members with an elected seven member Board of Trustees. They hire the Management and staff to oversee the grounds and the corporate day to day operations. There are 325 individual campsites in three distinct divisions. Sites are available for sale on the Lots for Sale link.